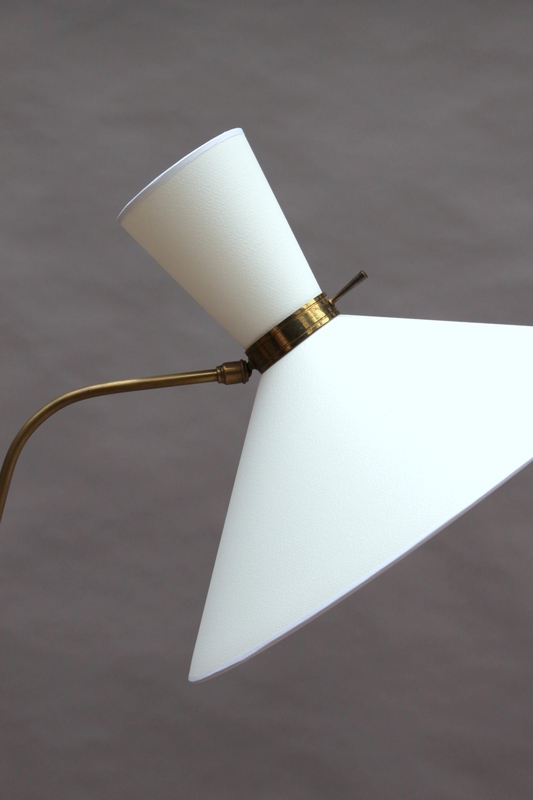 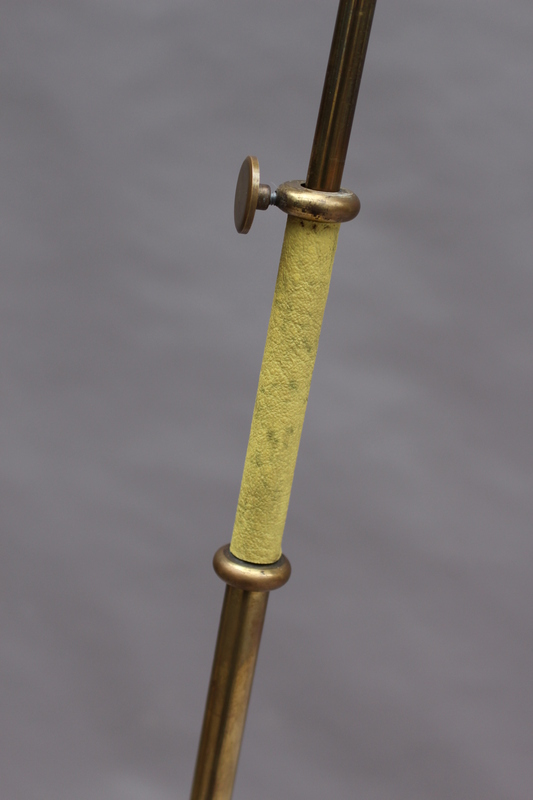 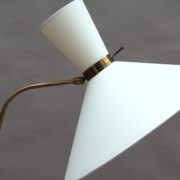 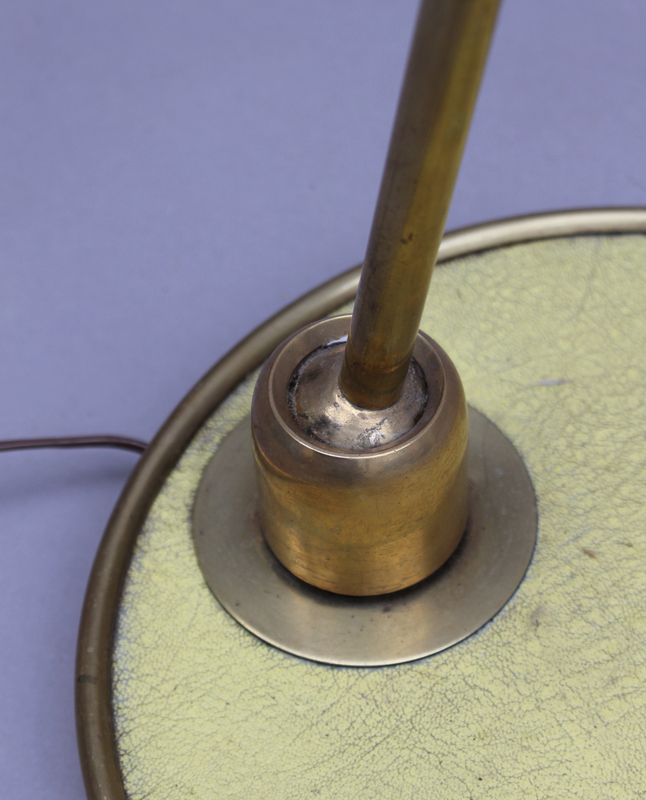 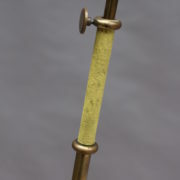 With a brass and yellow vinyl base and stem that hold a (remade) 2 bulb diabolo shade. 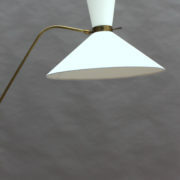 Both stem and shade are adjustable. 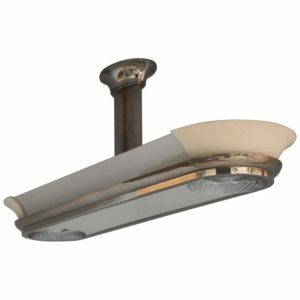 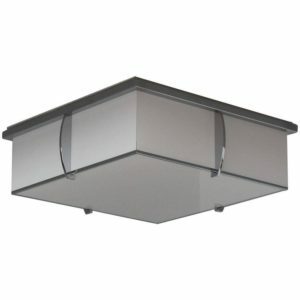 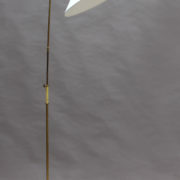 A second light is available in green. 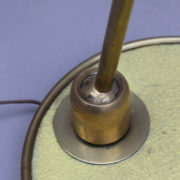 Good original vintage condition, vinyl worn, to be US re-wired. 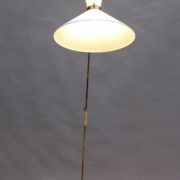 Good original vintage condition, vinyl worn; to be US re-wired. 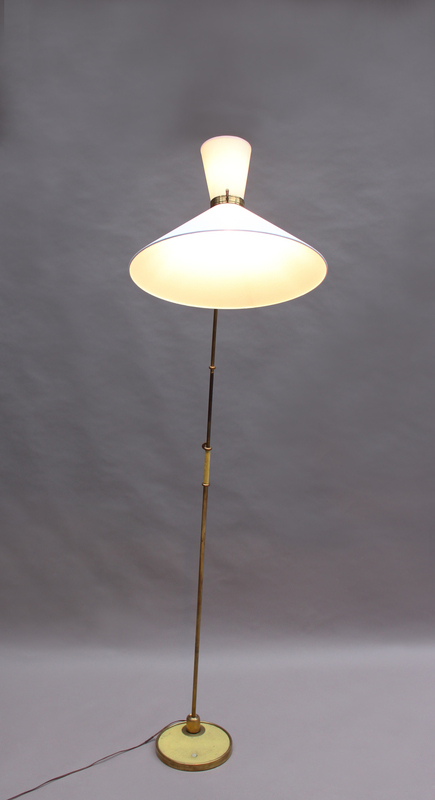 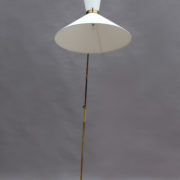 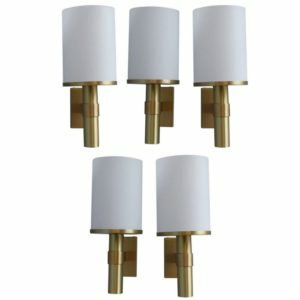 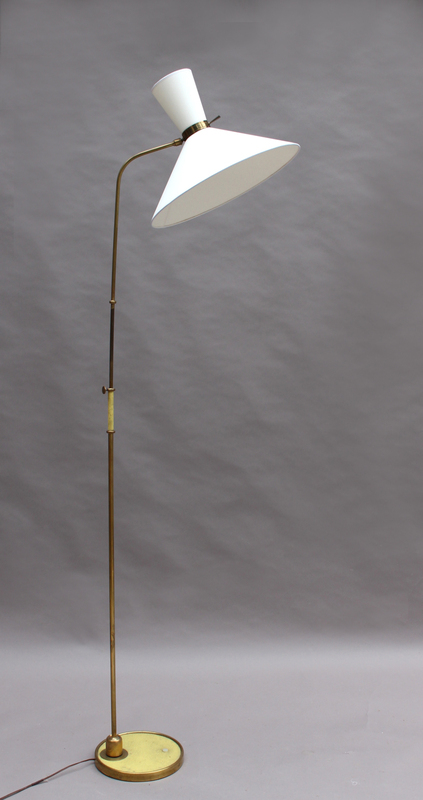 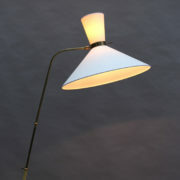 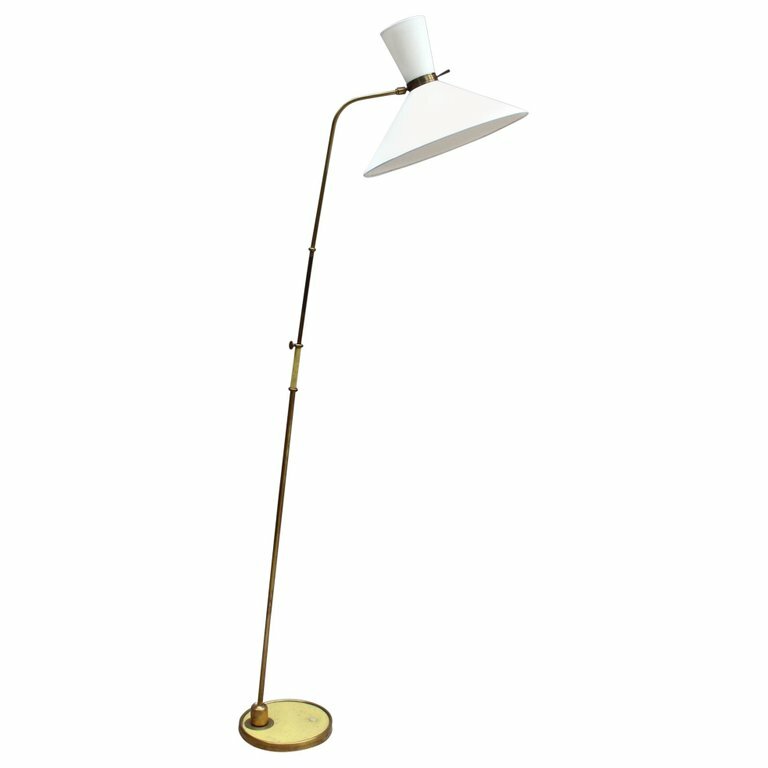 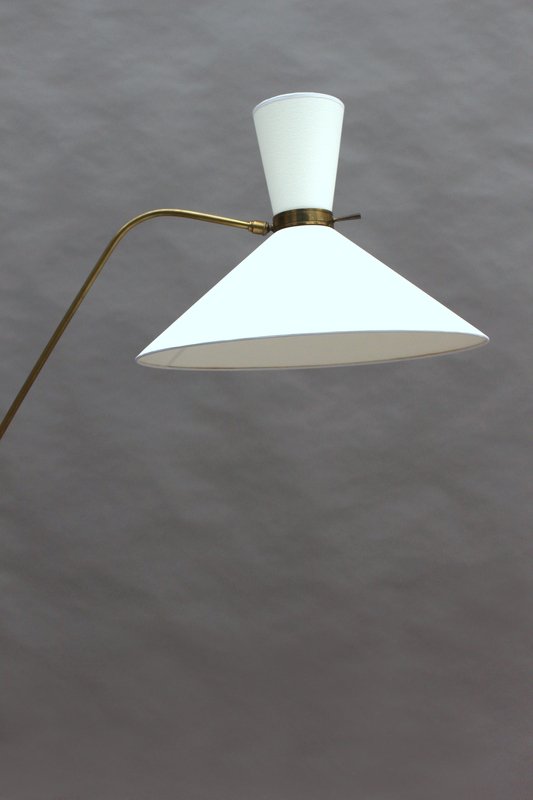 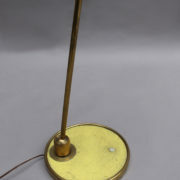 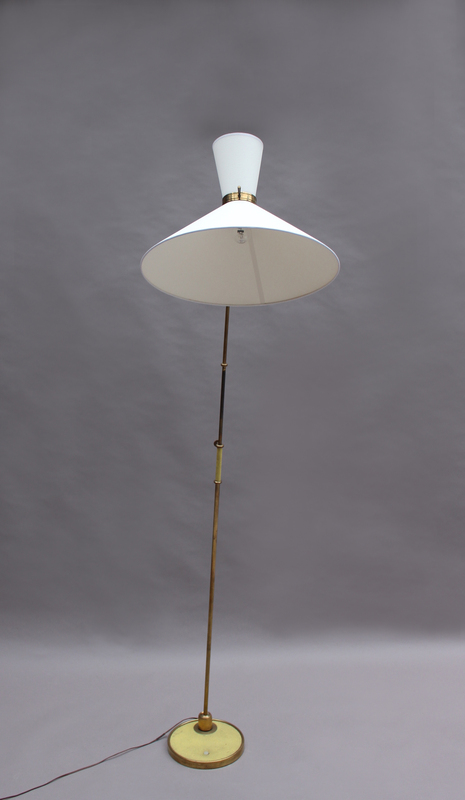 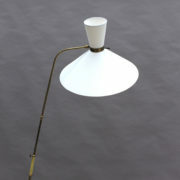 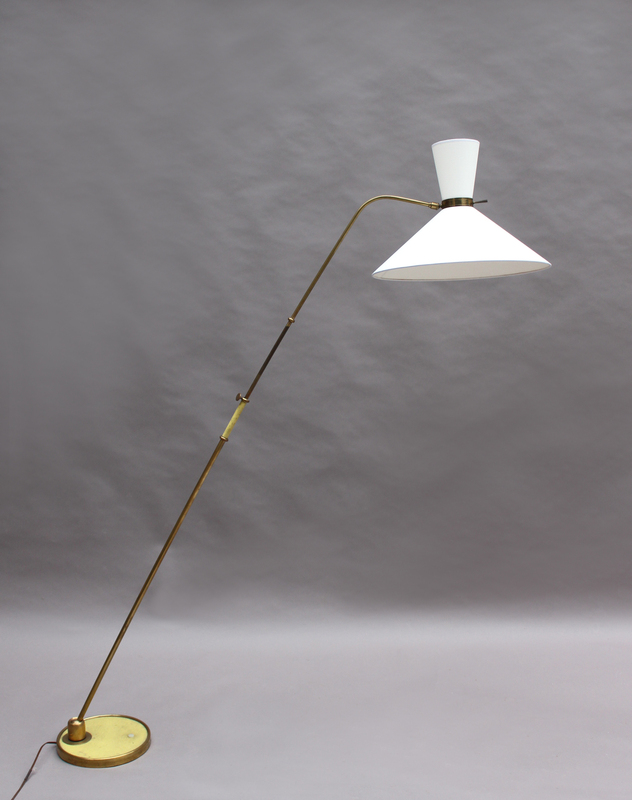 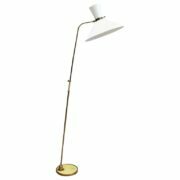 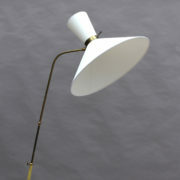 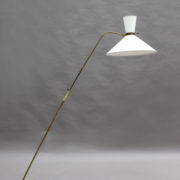 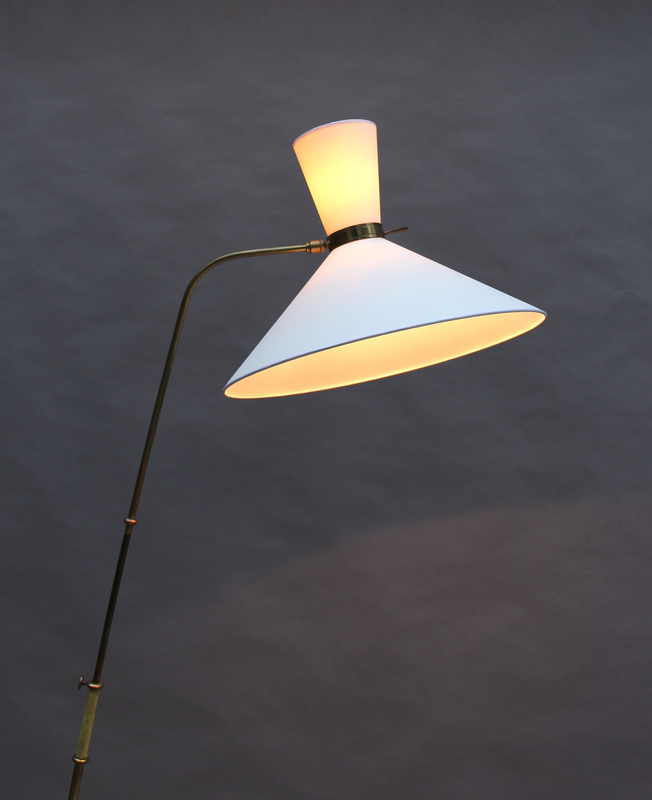 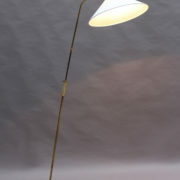 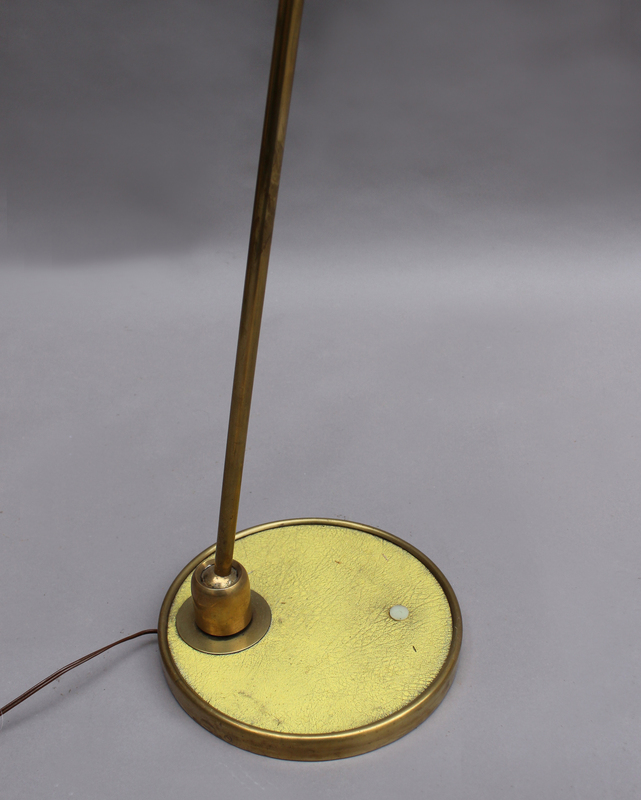 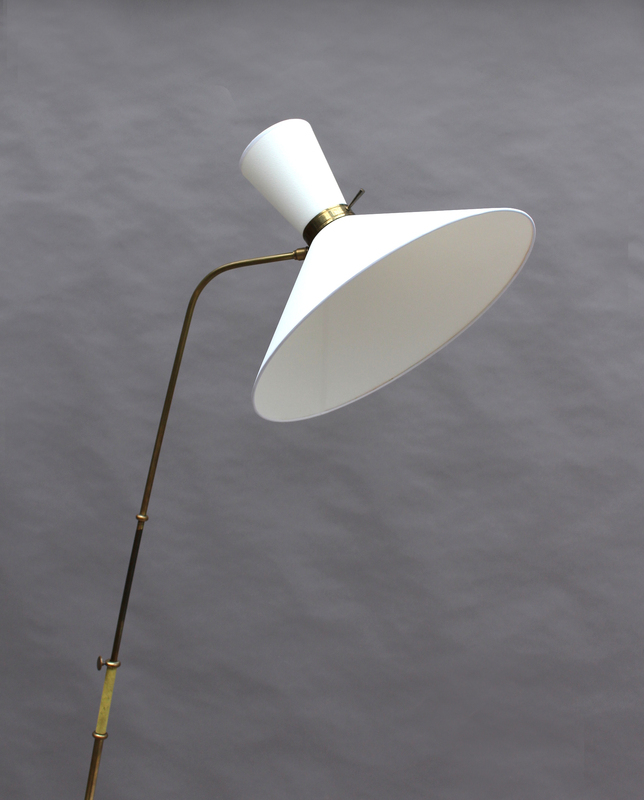 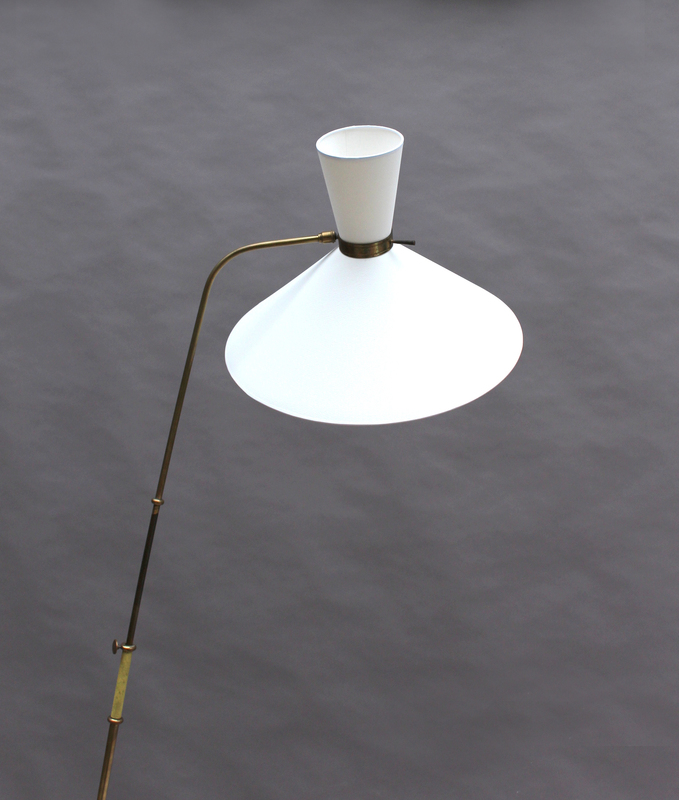 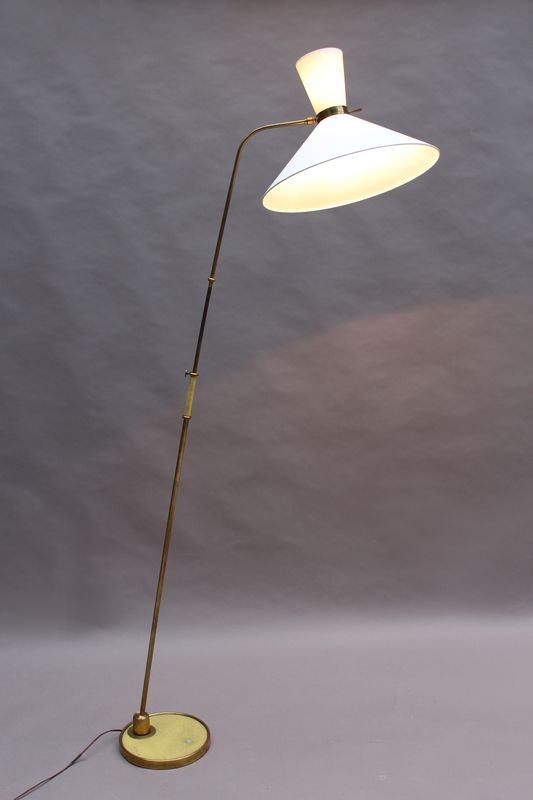 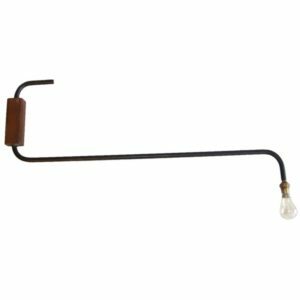 Soyez le premier à laisser votre avis sur “Fine French 1950s adjustable Floor Lamp by Maison Lunel” Annuler la réponse.